In her heart and mind, Sue is a person called to encourage people to come together to have conversations about God. A person called to create a space where all can both be teachers and learners. Not surprisingly her undergraduate degree was in the teaching field, specifically elementary education. While she enjoyed her early career as a teacher, she yearned to create a space that included conversations about the sacred and the holy, and for people of various ages. She attended Pittsburgh Seminary where she graduated in 1984 with her Master of Divinity. She later obtained her Doctor of Ministry in 2000 with her research focusing on generational studies, communication styles, and homiletics. This research inspired Sue to create, teach, and preach for a variety of generations, for those inside the church walls, and for those who never stepped inside of a church. 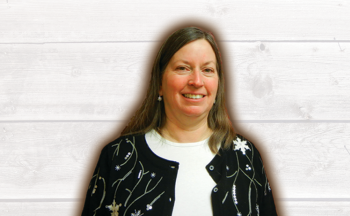 Sue has served as a minister at First Presbyterian (Allentown, PA), First Presbyterian (Bethlehem, PA), and Liberty Corner (Liberty Corner, NJ). In 2005, she began her journey with The Barn. Sue is passionate about music and singing, travelling, biking, hiking, cooking, and hosting fun theme-inspired parties. Sue is married to Bob, a retired dentist who is currently an attending at local hospitals with dental residents, an avid outdoorsman and exercise fanatic and leader of 8 community gardens. Bob and Sue have 3 grown children: Alysha, a food stylist and photographer, is married to Sean; Katelyn, a resident in Obstetrics/Gynecology in Alququerque, NM; and Jonathon, a third year medical student in WV. Sue’s brother, David lives with them since the death of Sue’s mom and they have an emotional support dog for David named Jasmine. Joanne is married to her husband Jim, and they have two children, Anna and Jackson. They live in Lower Macungie Township. 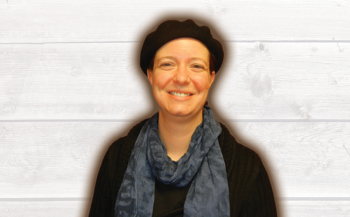 Joanne loves reading, history, fine arts, hiking, and snowboarding, and she has a passion for youth and young adult ministry. She began serving at The Barn in February of 2015. Previously, she served as pastor at St. John’s UCC, Fogelsville and as licensed pastor at Emmanuel UCC, Hanover, PA. She attended Kean University, where she received a B. A. in history with honors. She then attended Lancaster Theological Seminary and received her M. Div. degree in May 2004 and her D. Min in 2015. 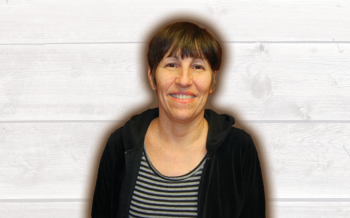 Kim has been working at the Barn since 2005. She enjoys spending time with her family — she has two grown children who are both married and a grandson on the way! For fun, she enjoys quilting and other needle crafts, gardening, hiking and ringing handbells with the Jubilation Ringers.